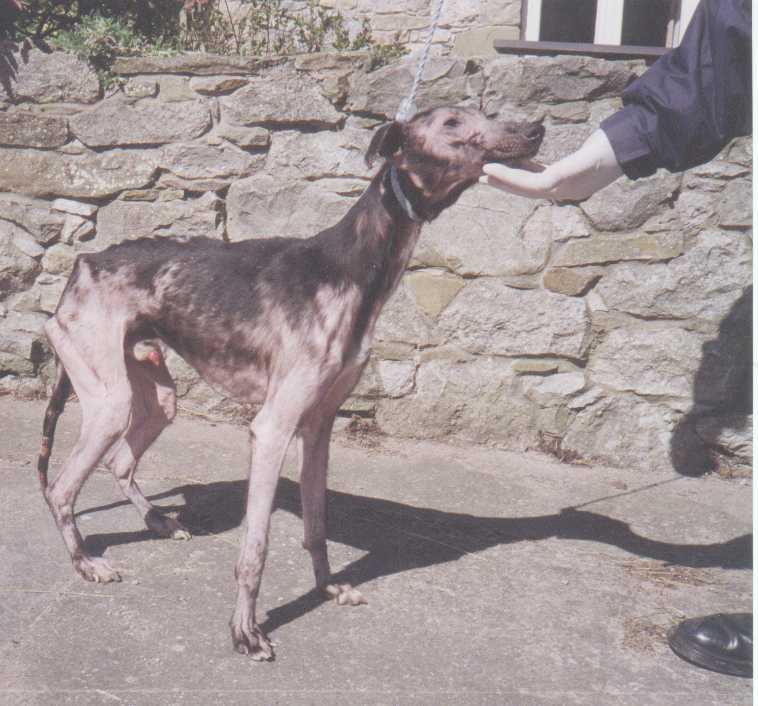 A small lurcher cross-breed male dog. He is approximately 12 months old we think. Archie was found tied to a fence in a quiet country lane, in a very sorry state. He was very underweight and had a badly damaged tail. His tail had an infected wound and was also fractured. This fracture had been splinted by a lollipop stick and insulation tape. He also was suffering a chronic mange infestation and was virtually bald. Since then he has been making a tremendous recovery, although his tail was so bad it had to be amputated. He has managed to put on 3 Kg of body weight. We appealed through the local media for any information but were unsuccessful. Archie is still looking for a loving home that can give him a better start in life than he first had. Unfortunately though he likes to chase cats so his new home must be cat free !